Dan received his Bachelor of Science Degree from Salem State College in Salem, MA. He has also completed numerous Financial Planning, Estate Planning, Investing, and Insurance courses from The American College. 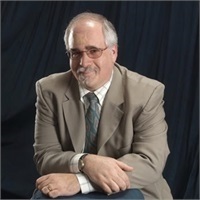 Prior to entering the financial services and insurance industry, Dan worked in the non-profit sector for over 20 years, primarily in the Development, Finance, and Research areas. Dan’s financial practice spans all aspects of insurance and financial planning for individuals, families, and business owners. He has particular experience in Business Succession, Estate Planning, Retirement Plans, Employee Benefits, Disability, Long-Term Care, and Charitable Planning.